At San Diego Comic-Con, I had the distinct pleasure of sitting down with a creator I've been reading for a very long time, Joe Casey. Joe took a few minutes out of his busy schedule to talk to me about his new series, New Lieutenants of Metal and how Jack Kirby continues to influence him, among other topics. Joe was accompanied by his son, who made sure I only asked good questions! Rob McMonigal: Thanks for taking the time to do this interview, Joe. First of all, how the heck did you guys come up with the concept of New Lieutenants of Metal? It’s bonkers, but it’s awesome. Joe Casey: Thank you very much. It’s one of those things, I’m in a lucky position now. The goofy things I come up with, because of how long I’ve been working at Image and the fact that because I do a lot of work in animation and television, I’m not dependent on comics to make my living. So I’m able to put out these weird, funky ideas and not be as concerned about having them pay my rent. 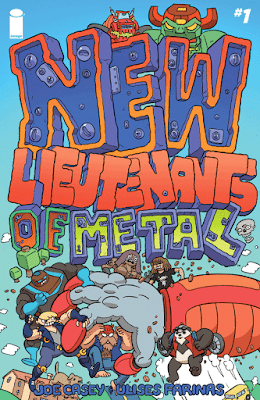 New Lieutenants of Metal was a weird title I came up with, probably five or six years ago. Sometimes [concepts] come out of jokes. 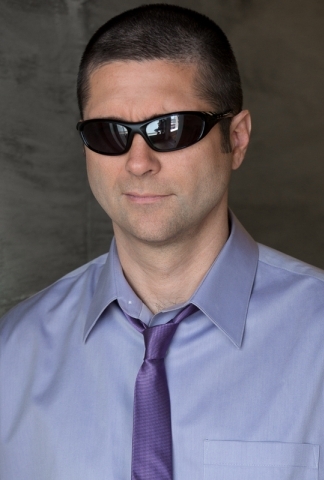 I may be sitting around with the other Man of Action guys [a writer's collective that Joe belongs to] and we’ll be talking about whatever and a name will pop out and someone will say, "I’m going to use that." This was one of those moments--that’s my recollection, anyway. Then it was a matter of coming up with the characters and ideas and finding out what kind of comic would fit that title. I don’t usually fit the title first and put the concept second, but this was one of those times. A couple years later, I had it all together, and it went from there. Rob: How did you get Ulises Farinas on board? 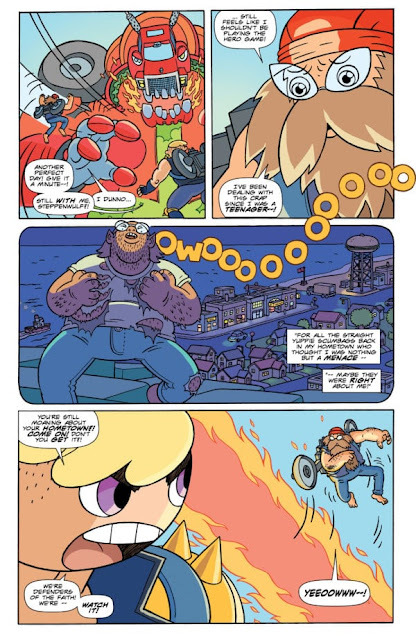 Joe: We’d worked together on something for Dark Horse called Catalyst Comix, and just I just thought he’d be good for this, because Ulises is the kind of artist who will draw anything you ask him to draw. Joe: He’ll do it in his style, but he’ll do it. I talked to him about it and he seemed into it. I said, "Let me write it and once it’s done, you can draw it." It was a long stretch—this was not a project at the front of either of our plates. Eventually we had enough issues in the can and we could finally put it out. Rob: You get to do some of the more out there concepts. It feels like a lot of your work has either of an overt or background Kirby influence. What draws you to him when you work on a comic? Joe: Two things. For awhile, I was really working in what I call the Kirby idiom. He would work in certain genres, I guess you could say. He would do styles of story--cosmic stuff, heroic fiction, mythology. I would riff off of that that. 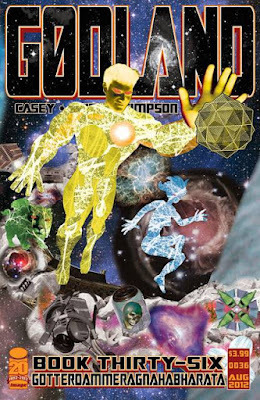 Godland [with Tom Scioli] was obviously that. Valhalla Mad [with Paul Maybury] was obviously that. Then I would do things like Captain Victory for Dynamite, which was really in that area, obviously. The other side of it, the second thing, his willingness to try anything, do anything--nothing was outside the bounds of comics. Anything could be a comic—that seemed to be his ethos. New Lieutenants of Metal or 1975 or anything that’s not obviously Kirby inspired has still got that, "Hey we’re gonna try this!" Anything can work in comics as long as you put the sweat equity in. I feel like I’ve burned through my direct Kirby influences. There's no more Godlands in me, but the spirit of "do anything, try anything"--that’s never going away. Rob: You've worked with a ton of artists over your career. Do you have a standard approach or do you change it up? Joe: I don't choose [the approach] so much by who I’m working with. I pick the method based on how I feel the end product will result. In other words, on New Lieutenants of Metal, we did it Marvel style. For those who don't know that's plot first, then the artist draws, and I come back in and script the dialog and text. I did that for Godland as well. I pick that method because I like the energy that comes from sitting down with all the art and just coming up with the words that [the characters are] going to say. But there’s a pitfall to that approach because you’ve got to have your enthusiasm twice--once when you write the plot and then you have to find it again when you script the stuff. I don’t do that too often. But if I know it’s going to be a long lead time, like New Lieutenants of Metal, I do it that way because I don’t want to commit myself now to text to people are going to read four years later. I want it to be as near to the moment as I can make it. I probably scripted New Lieutenants of Metal over the Christmas holiday. That keeps it fresh--I’m working at where I’m at now as opposed to having to live with something I did four years ago. That’s tough to do. Rob: I'm not sure if you can answer this or not--of all the characters you’ve worked on, who might be a favorite? Joe: I’m doing this book that's coming out in September called 1975. The lead character is a cab driver named Pamela Evans. I would say she's my favorite right now because I don’t know how readers are going to react to her She’s my favorite right now because she’s still mine. Some people have read the book in prep for the release, but not the general public. I still have ownership. Once the book is out, I give that up. I let that go. I still have that now, she’s still very near and dear to me. Rob: Last question--What other projects do you have right now, or are in the works? Joe: 1975 with artist Ian MacEwan--that will start in September [from Image Comics]. That’s the next big project. I have something that’s going to be announced later in the fall, which is the next big project. 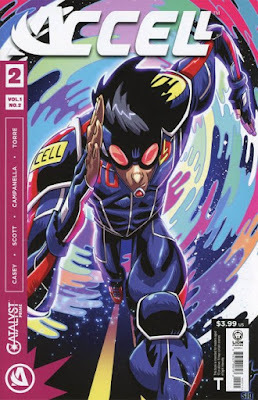 And beyond that, I’m writing the Accell monthly for Lion Forge [with artists Damion Scott and Robert Campanella], part of their superhero universe. 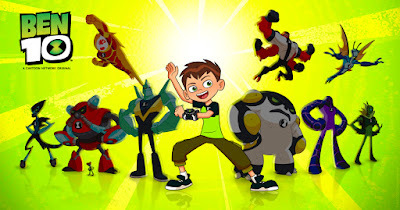 Beyond that, I'm doing a lot of Ben Ten and Mega Man, which is the typical stuff my company does as its business. Rob: Thanks for taking the time to do this interview! 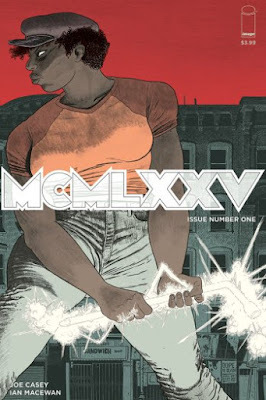 Joe Casey and Ulises Farinas' New Lieutenants of Metal #2 is out today from Image Comics. You can get a copy from your local comic shop or digitally at Comixology.